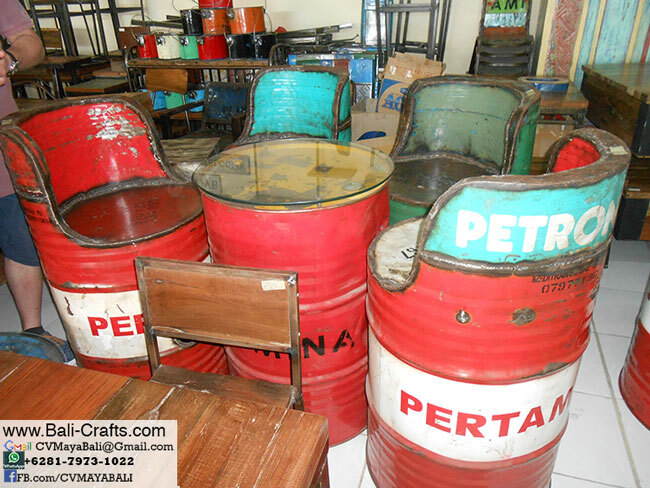 Re purposed oil barrel furniture made in Indonesia. We have complete line including chairs, stools, tables, and lamps. We have even wall mirror frame. See also our rustic alphabet letters made of discarded industrial barrels which include barrels from petrochemicals industry. More from our oil drum furniture catalog, please view our shopping site www.Bali-Crafts.com and take a look at our wide collection of rusty metal home decors.